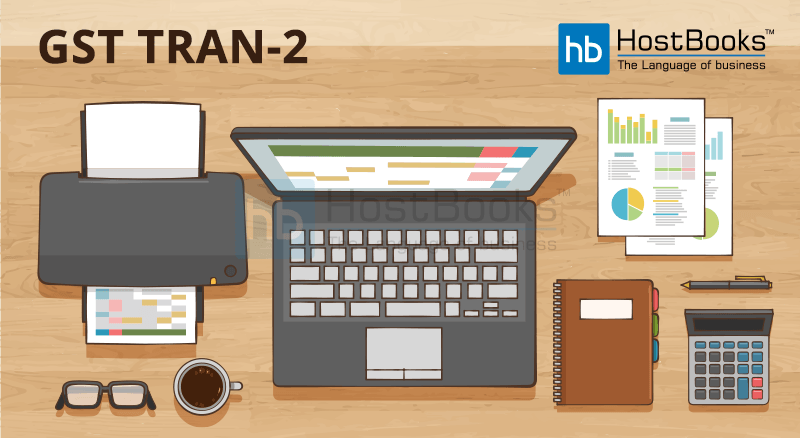 What is TRAN-2 in GST and what are the steps for filing the TRAN-2 form on GST Portal? Transition Form 2 or TRANS-2 is filed by those registered taxpayers who are eligible to avail the credit in Electronic Cash Ledger with respect to eligible duties and taxes earlier paid on the inputs under the pre-GST regime. 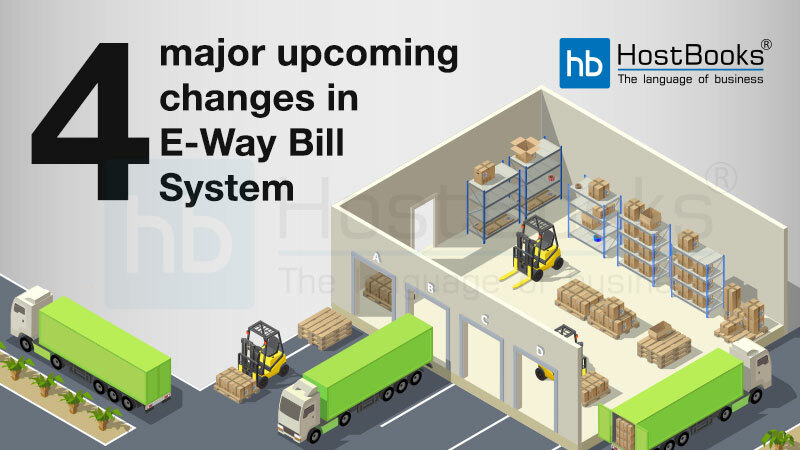 If the taxpayer does not have the invoice or any other document as an evidence of the tax paid, then he needs to declare the same in TRANS-1 followed by the filing of GST TRANS-2. 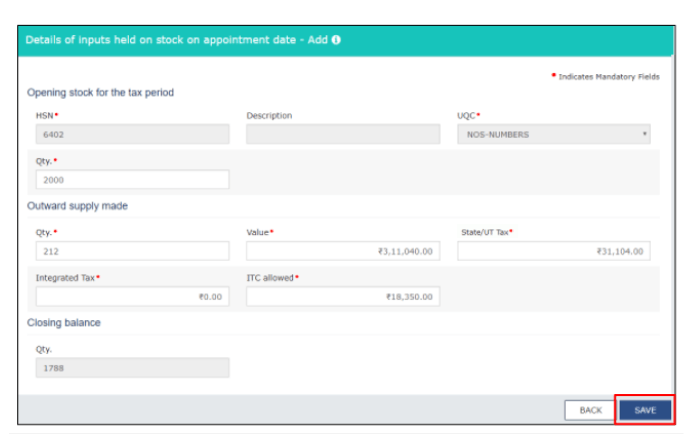 What are the steps for filing the TRAN-2 form on GST Portal? The first step is to login to the GST portal (www.gst.gov.in). Next, click on “Services”, then “Returns” and after that click on “Transition Forms”. Click on the TRAN-2 tab. Select the “Financial Year” and the “Month” for which the TRAN-2 has to be filed. Next, click on “SEARCH”. The next step is to fill in the required details in the two tiles (as shown in the image below) i.e. Details of inputs held on stock and Credit on State tax on the stock. However, the details like GSTIN and the Legal name or the Trade name will be auto-populated. Details of Inputs held on stock on appointment date in respect of which he is not in possession of any invoice/document evidencing payment of tax carried forward to Electronic Credit Ledger. This includes the declaration of the sales figures of inputs in case of semi-finished goods/finished goods subject to Excise Duty/Additional Customs Duty and on which ITC has been allowed. If the details of inputs held in stock are declared in TRAN-1 form, only then you will be able to enter the details in this tile. In addition, you also have an option to edit/delete the details provided. Next, enter the details in the mandatory fields and click on “SAVE”. Opening stock for the tax period includes the quantity present on the first day of the tax period. You need to enter data in this field for the first month and the same will be populated for the following months. Quantity and Value of Outward supply made during the period from the stock of inputs/semi-finished goods/finished goods in the pre-GST regime for which the evidence of tax payment are not available. The Central Tax and the Integrated Tax levied. ITC allowed needs to be entered manually. Closing balance includes the inputs held in stock on the last day of the tax period. You will be allowed to enter data in this tile only if the details of input in stock not supported by documents have been declared in TRAN-1 form. Tile 2 is meant for stock declaration of the sales figures of inputs in stock used in semi-finished goods/finished goods subjected to VAT at single point system in states like Punjab and the ITC allowed on the same. You can even edit/delete the details provided. Then, fill in the details in the mandatory fields and click on “SAVE”. You may download the PDF summary to review the draft by clicking on “PREVIEW”. Click on “SUBMIT” to submit the form. Once submitted, there is no option to modify the form. 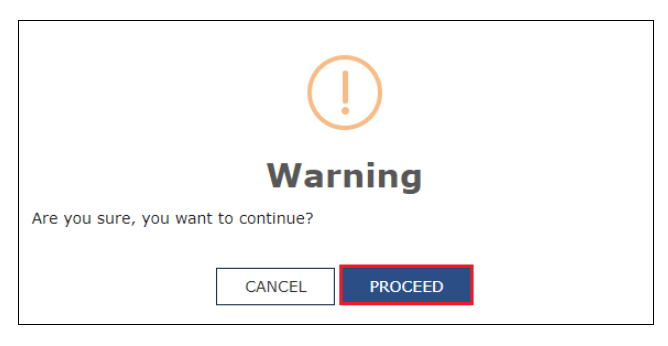 After you click on submit, a warning message will be displayed. Click on “PROCEED” to continue. As soon as you click on proceed, the status of the TRAN-2 form will be changed to “Submitted”. The next step is to select the authorized signatory to sign or verify the form. Click on “FILE WITH DSC” or “FILE WITH EVC”. A message will be displayed on the screen regarding the successful submission of the TRANS-2 form. The ARN or the Application Reference Number will be sent to you via email. The total of ITC claimed in the “ITC allowed” field will be posted to the Electronic credit ledger. 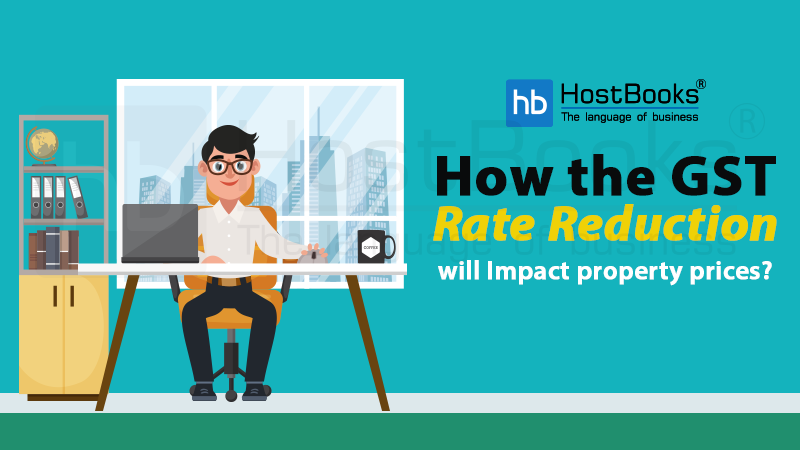 When is the due date for filing TRAN-2? The due date for filing TRAN-2 is approaching i.e. June 30, 2018. What can be the reason behind failure to file TRAN-2? Sol. GST TRAN-2 can only be filed if TRAN-1 has already been filed. Also, if a person fails to file GSTR-3 for that period, TRAN-2 cannot be filed in that case. Is any document required to be attached along with TRAN-2 form? Sol. No document is required to be attached along with TRAN-2. What are the details to be filled in the TRAN-2? Sol. The details of the supplies made on or after the appointed day for which the duties and taxes have been paid prior to the appointed day in order to claim credit. Is it possible to make an amendment in the TRAN-2? Sol. Once submitted, it is possible to amend or edit the details in the TRAN-2. It is filed once in a tax period. With the implementation of “One Nation One Tax”, a claim of the taxes paid in the pre-GST regime became a matter of concern among the taxpayers. Hence, the government came up with the concept of TRAN Form for the same. This clearly shows how important it is to file the GST TRAN Form for the taxpayers eligible to avail the tax credit. 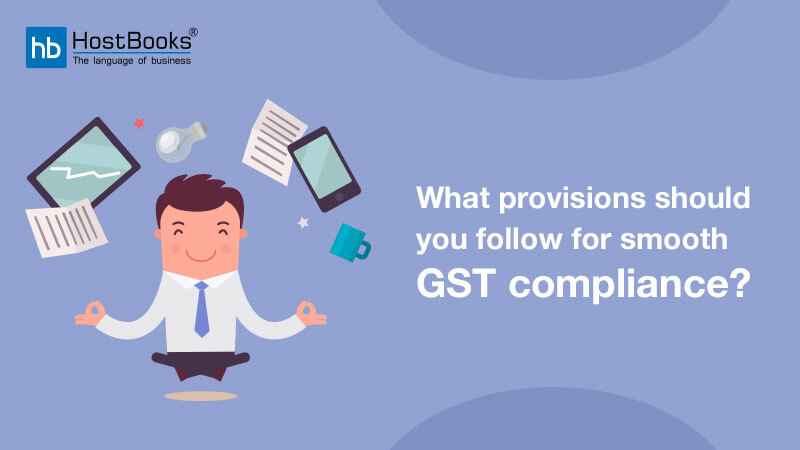 Thank you for coming up with such an easy guide on the filing of GST TRAN-2. This blog post is really helpful.